We took Penny punting. It was too early to have a 'punt and a pint' and too cold for a 'punt and a picnic' but I think she had a good time anyways. Lots of laughs, at least. 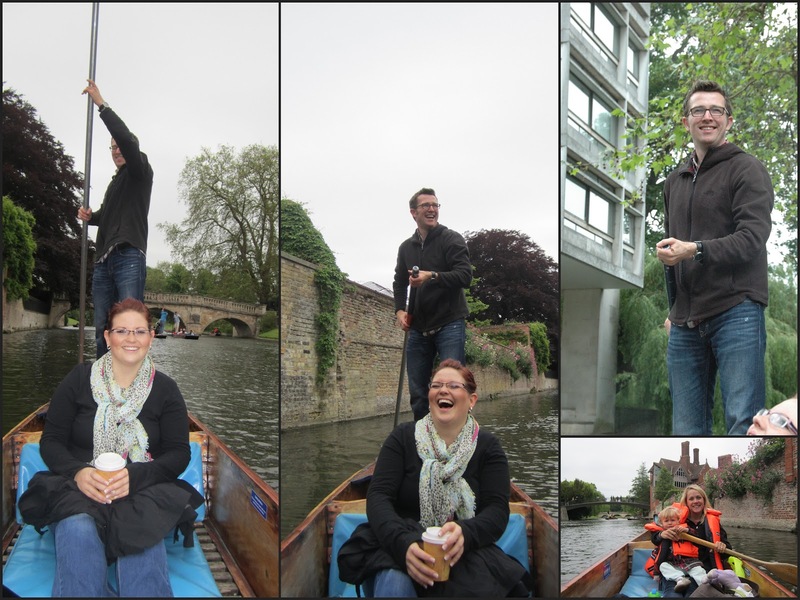 Eliz would only wear a life jacket if I was wearing one, so I look super fashionable safe.At one point, Elizabeth & I were "row, row, rowing the boat" and were probably working against Matthew's punting, but he is a superstar punter now. 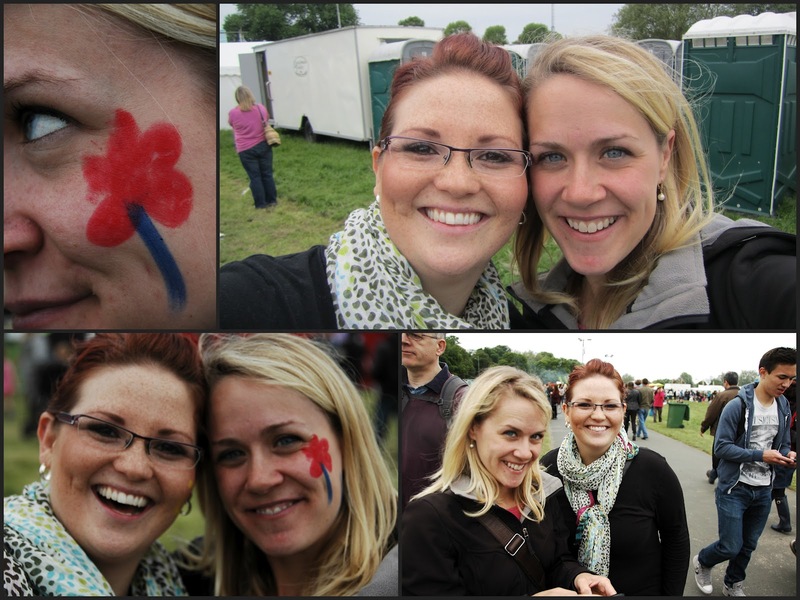 After the punt, we went to Strawberry Fair, in Midsummer Common. 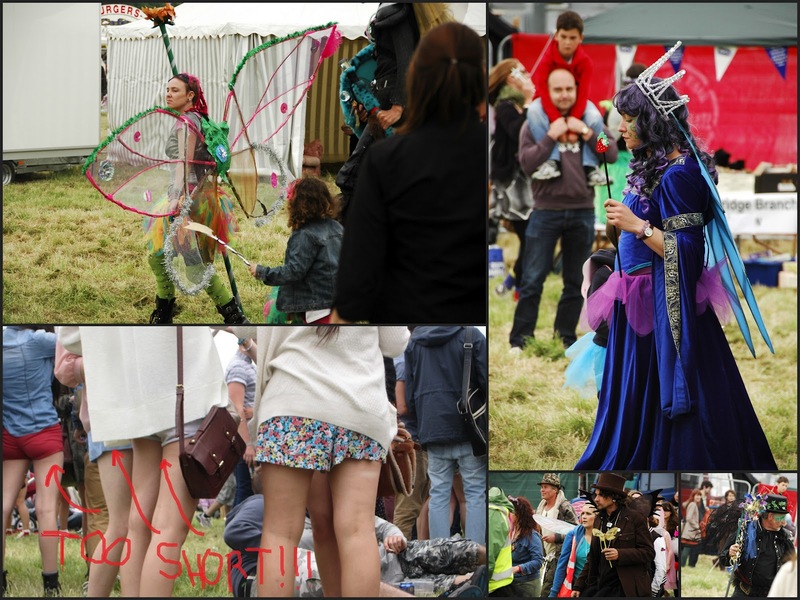 It is this weird, wacky festival where people dress up like fairies. Yep. And we saw lots of adult men in animal-themed onesies. I know. Penny and I did some sah-weet people watching. You might be thinking Strawberry Fair is no big deal, but let me tell you. Ahem: "Strawberry Fair is set to take its place in the Guinness Book of World Records as it smashed the world record for gathering together the largest number of people dressed as fairies in one place, ever." That's right: 337 people were dressed as fairies that afternoon, and a new "Royal Fairy Family" was crowned at the event. You know what else happened that day? A whole lot of 16- and 17-year old British kids got drunk for the first time, and were stumbly and ridiculous by 3:30pm. I think they were more interesting to Penny & I than the fairies. There is this phenomenon of short-shorts here and unfortunately, it seemed like every girl at the festival got the memo. So many bums hanging out. So, so many. 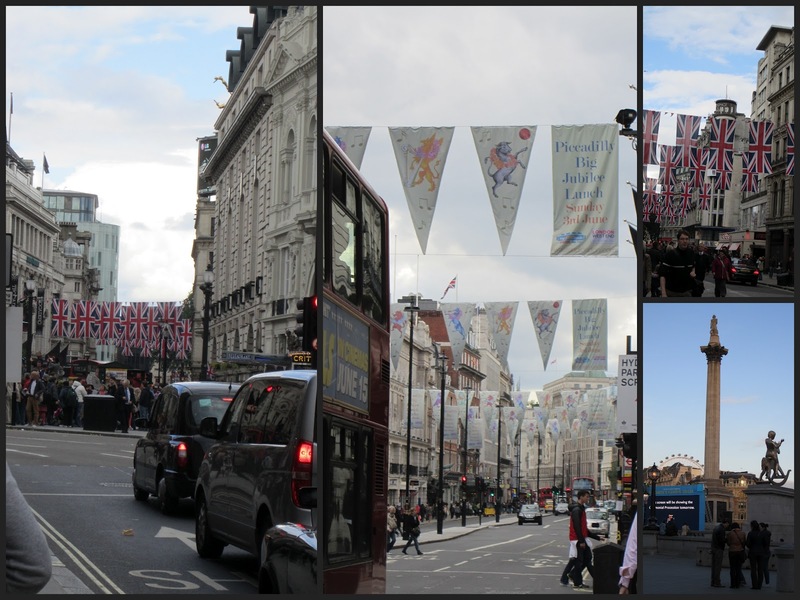 We saw the bunting and hoopla for Queenie, and the fireworks too. It was a pretty fab time to be in the city. There were roughly 8 kajillion people in the city centre, and so there were lots of cops and crowd-controllers around. 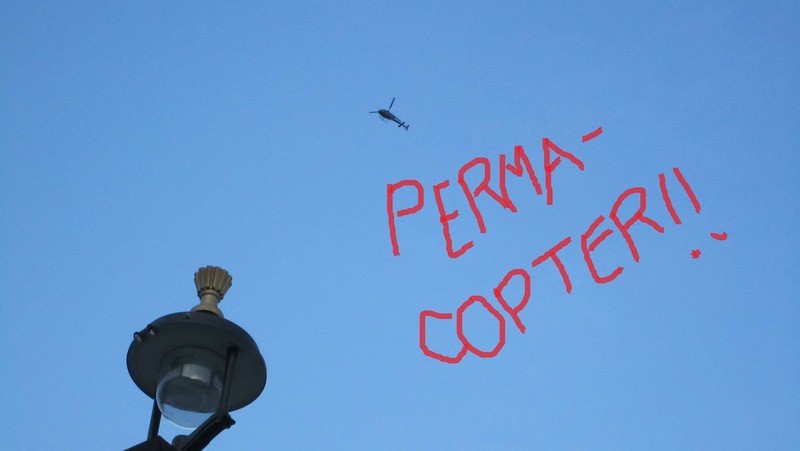 This helicopter was like one of those bees that gets into your house but can't find their way out. Loud, and just kind of everywhere. It is so good to have Penny here. Today we had a completely wonderful day. She took care of Eliz while I did some errands - what a great friend! - and then we made muffins and watched Friday Night Lights. We all went to our fave pub, The Castle, for after work drinks with Matthew, and then had a curry for dinner! Good Times with the BFF! !